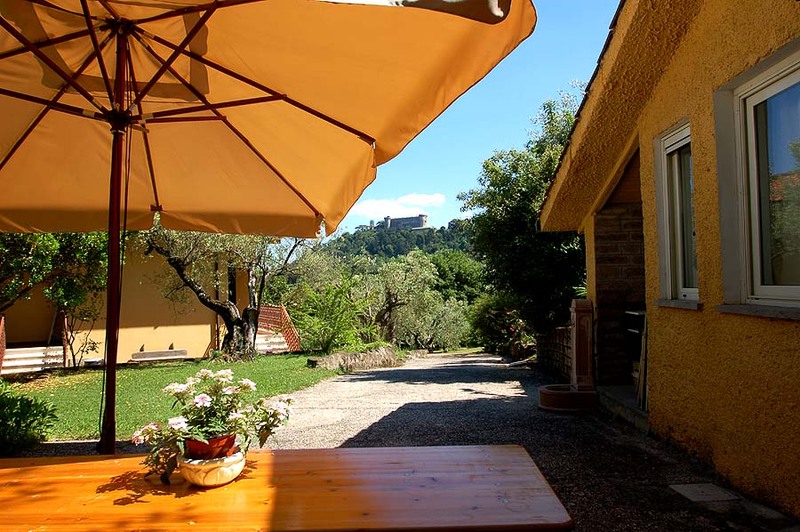 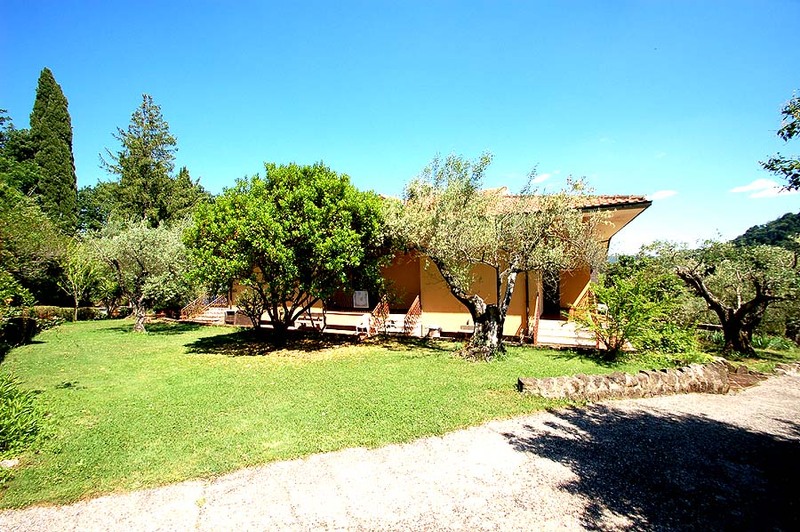 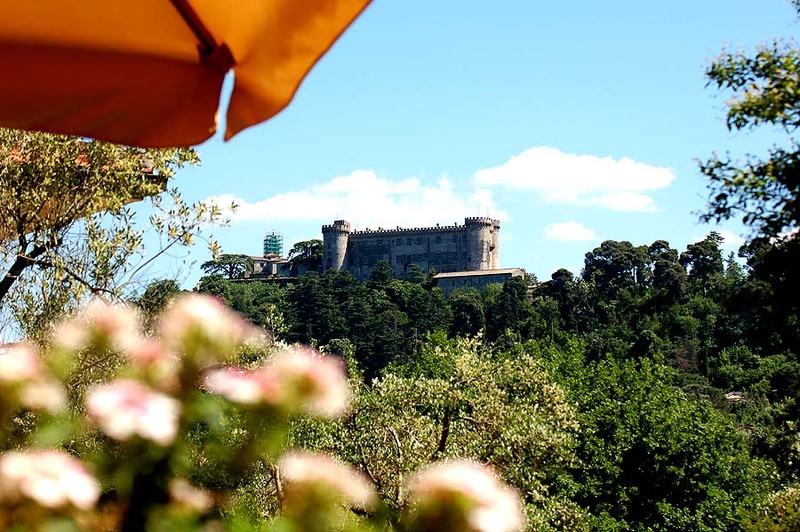 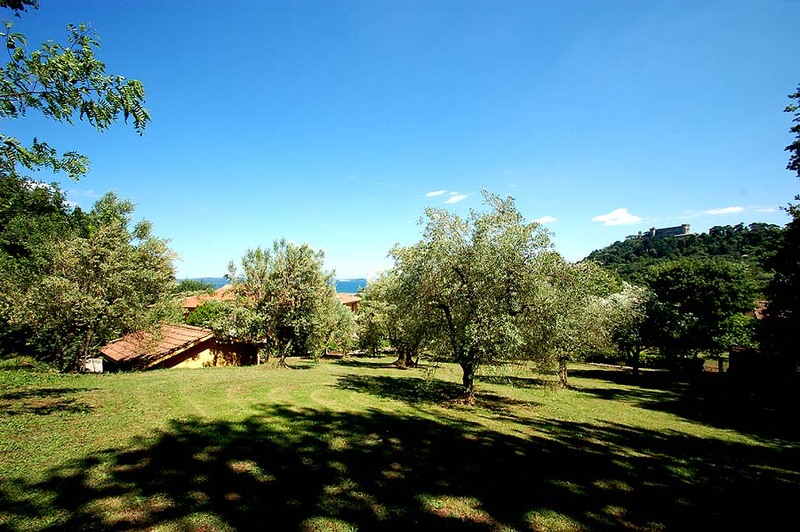 The villa lies in a panoramic location (with view of the lake and the castle of Bracciano) only 200 meters from the sand beaches of Bracciano. 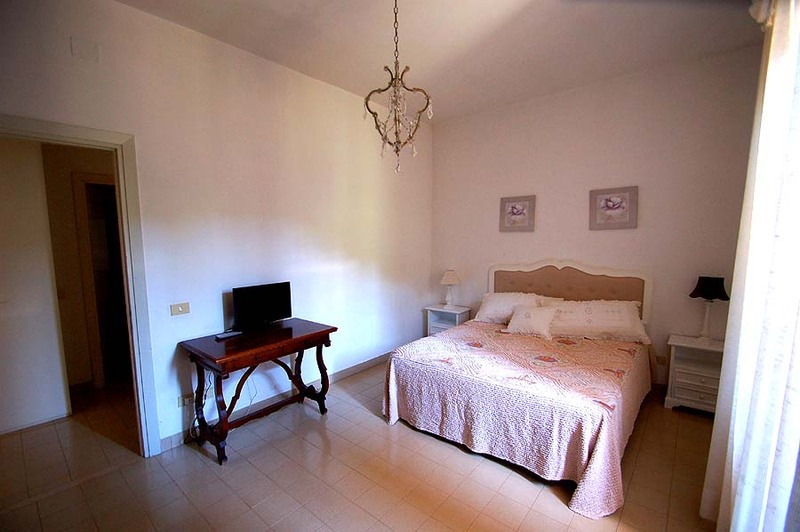 A part of the villa is inhabited by the owners while the other one (with own entry, trough the bedroom with 2 single beds) is rented for holiday, it can accommodate up to 8 persons. 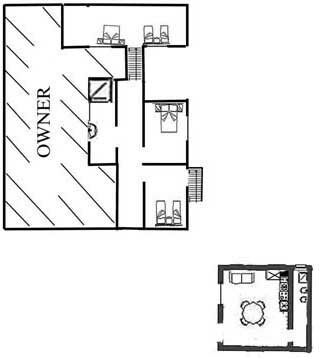 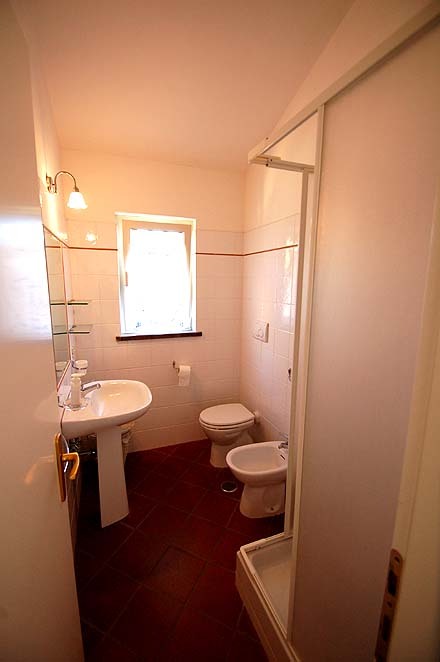 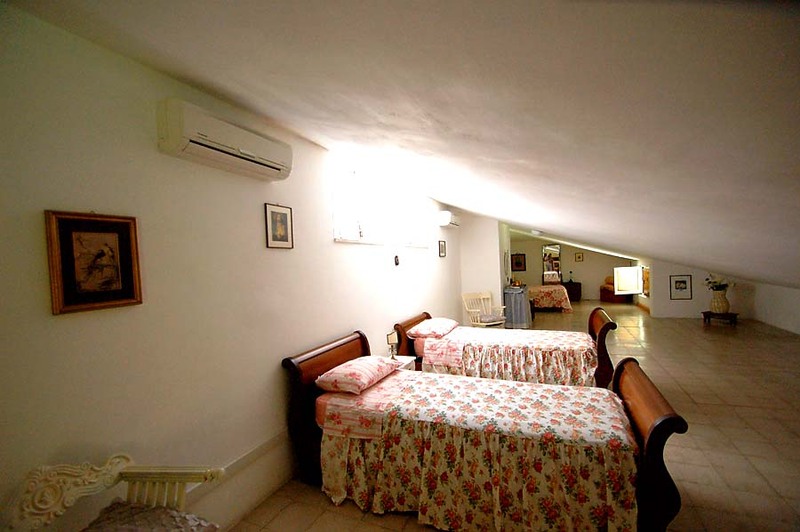 There are a twin and a double bedroom on the ground floor while the room on the 1st floor has up to 4 single beds. 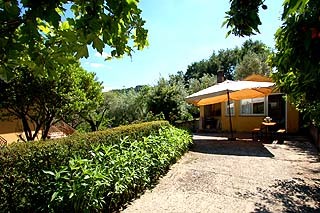 The guests have an own area inside the large garden, so you will have enough privacy. 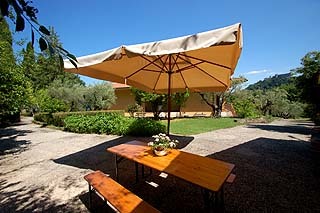 This is equipped with table, chairs and sun umbrella to eat outdoor. 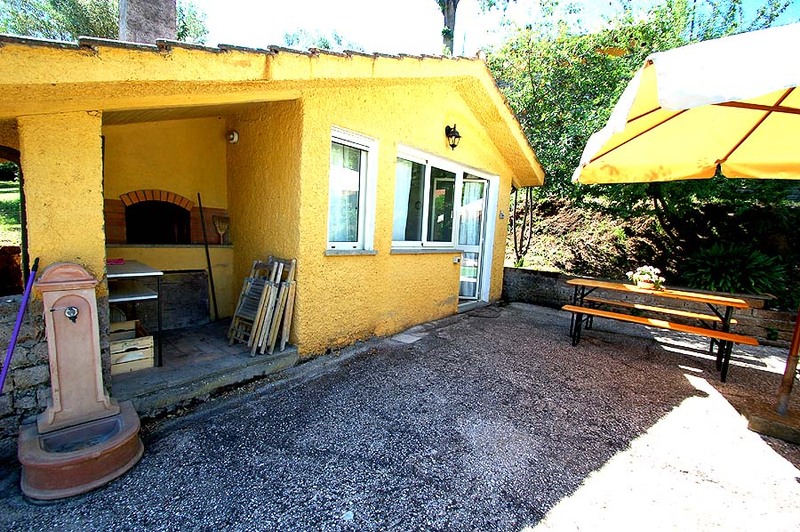 There are also a barbecue and stone oven at disposition to cook. 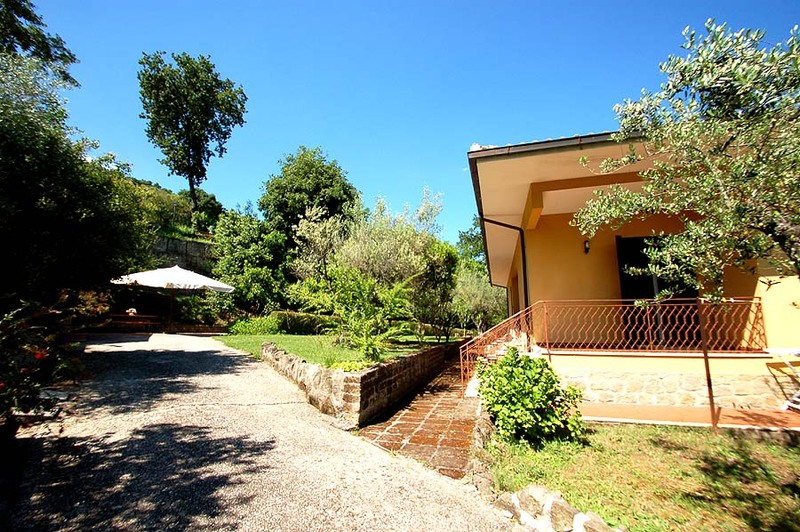 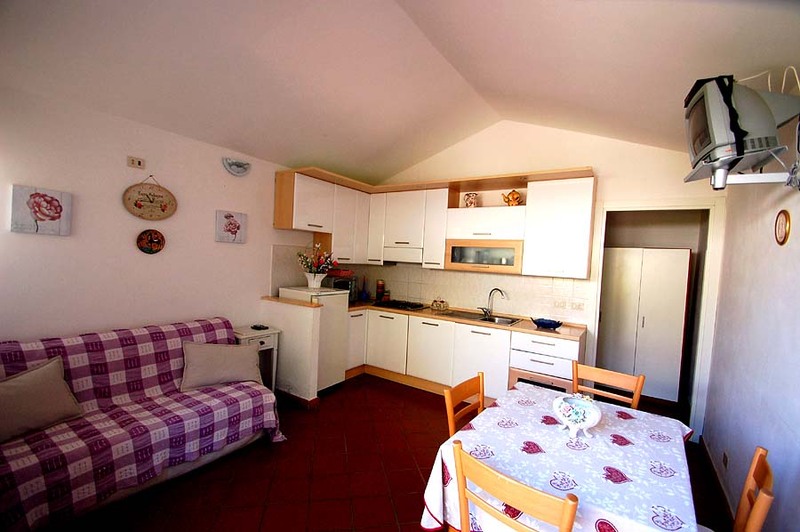 The 3 bedrooms and one bathroom are in the main home while the dining room with kitchen and bathroom are in the cottage (10 meters from the villa). 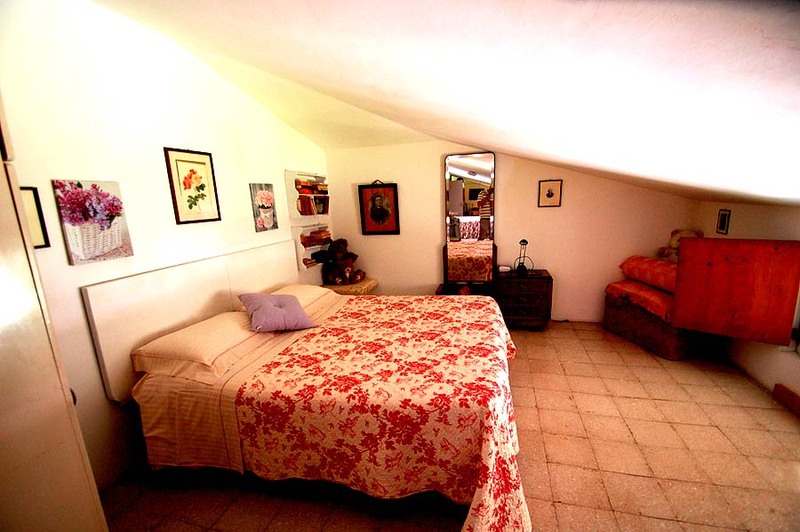 The cottage and the bedroom on the 1st floor are equipped with air conditioning. 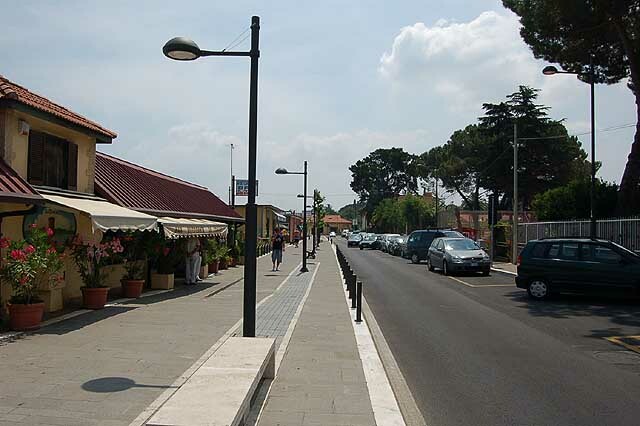 Restaurants, some shops & bar 200 meters far away. 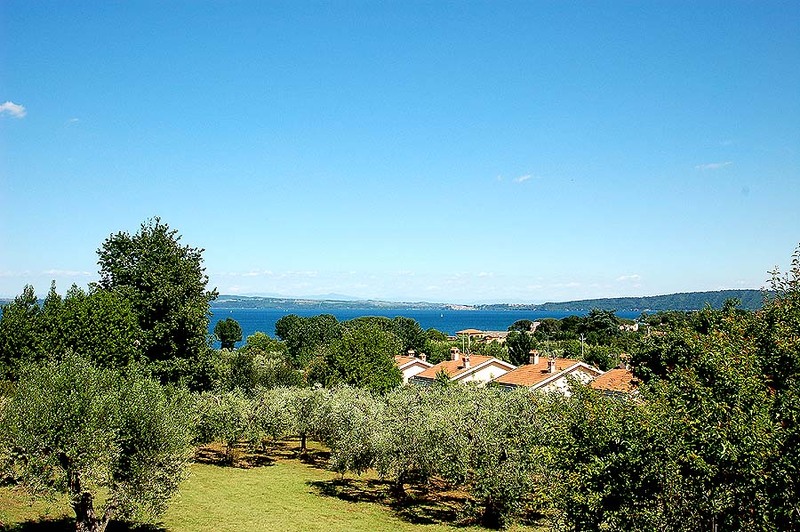 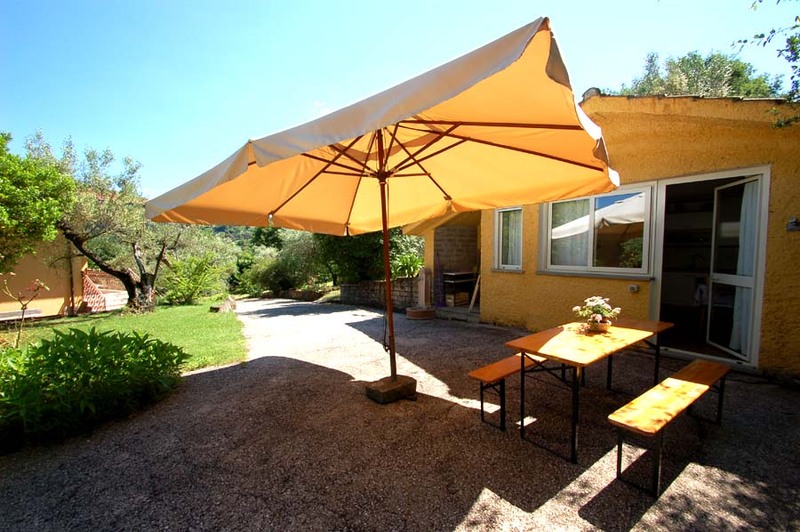 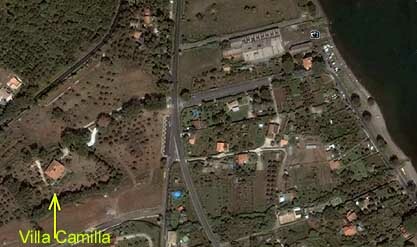 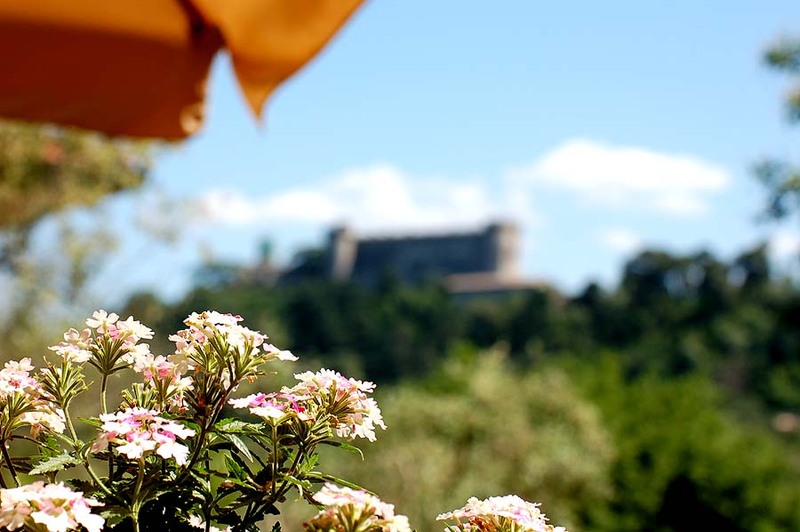 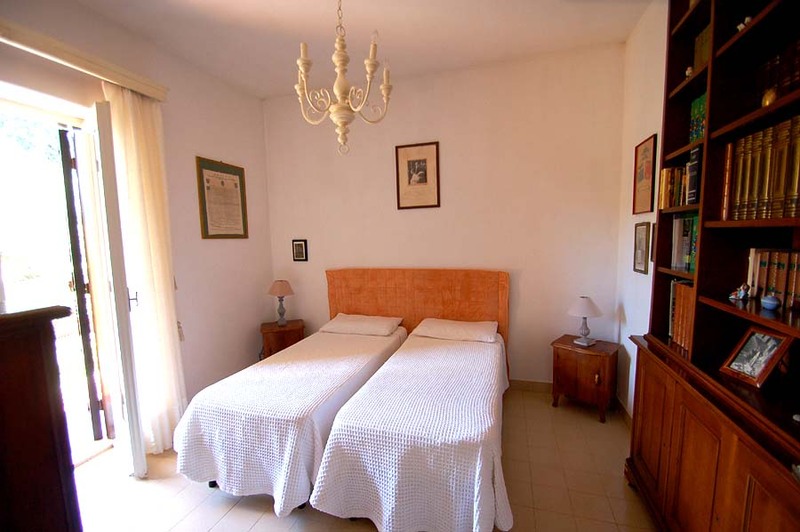 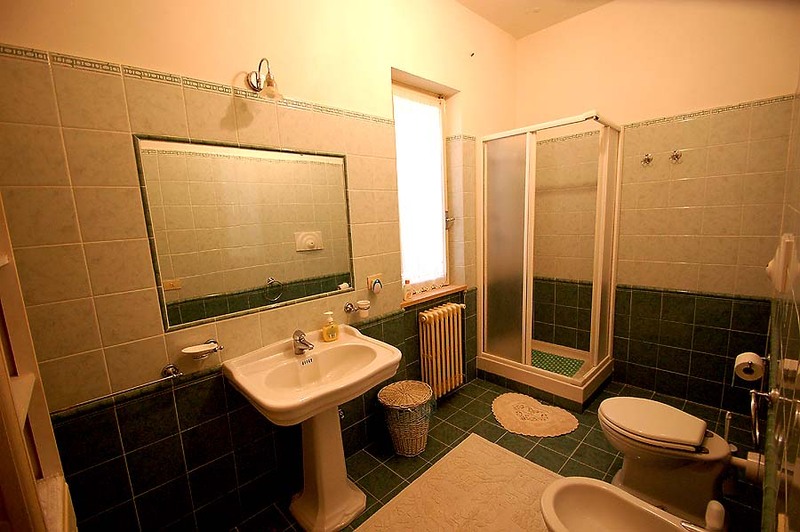 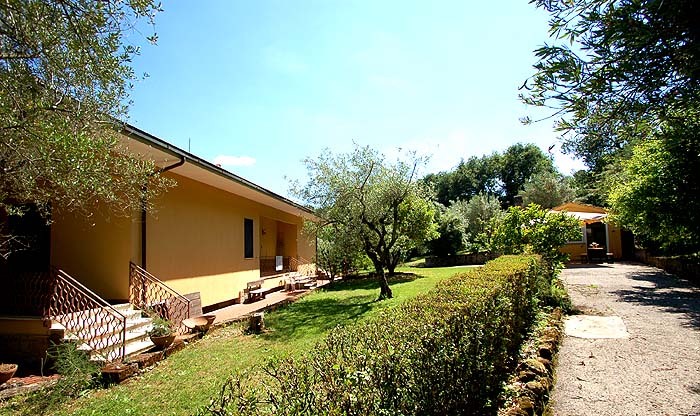 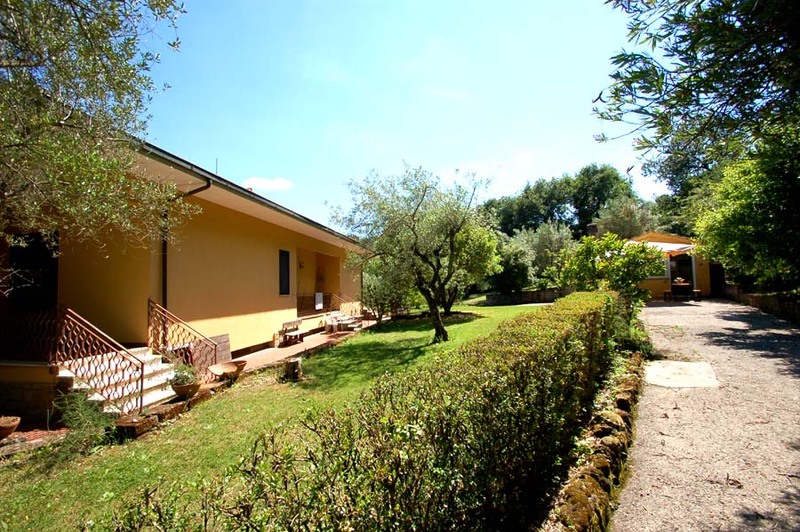 Villa Camilla lies in an ideal location: 200 meters away from the lake/beach of Bracciano, 40 kms from the center of Rome, 50 km from the airport Fiumicino, 20 km from sea (sand beaches). 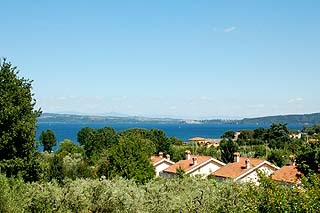 By foot it is possible to reach sport facilities where you can enjoy tennis, beach volley, minigolf, swimming and mini-soccer. 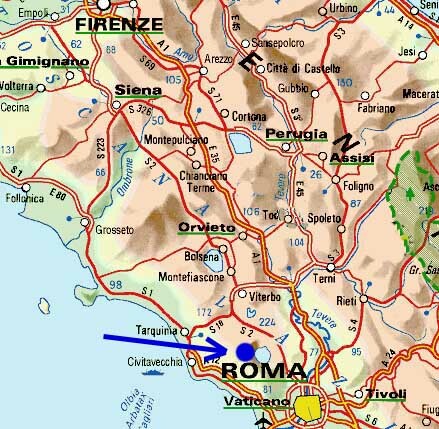 The sand beach is just 200m far away, here you can find also different restaurants, bars and shops. 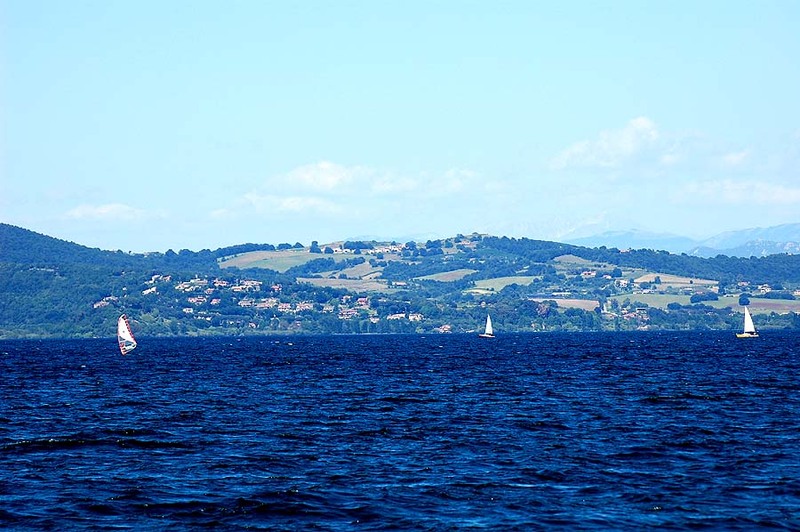 From May until September, it’s possible to carry out a nice trip by boat (departing point 500m from the villa), having the chance to visit also the other two villages on the lake, Anguillara and Trevignano Romano. 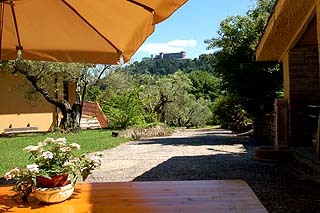 It’s also possible, nearby, to rent horses for excursions in the forest. If you want go to the centre of Rome with public transport: the railway station is 1,5 kms far from the villa, the train brings you in 40 minutes to the center of Rome. 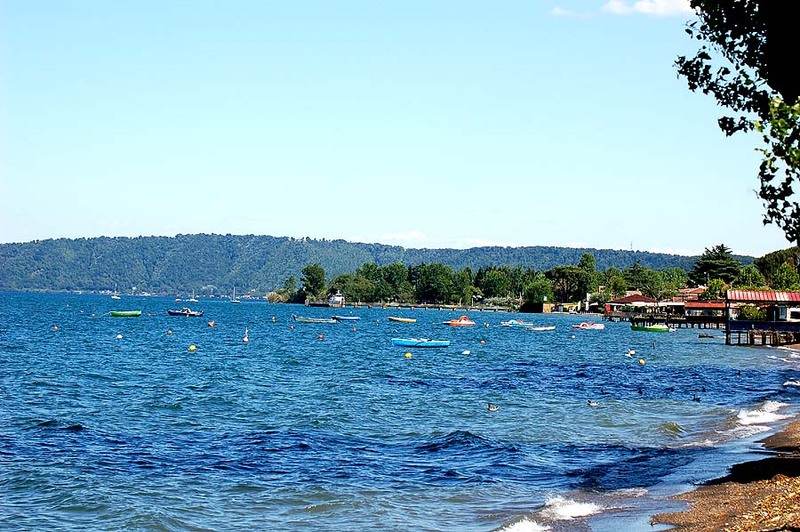 In the summer a bus service is available that connects the beach of Bracciano with the trainstation (there is a busstop near the villa).